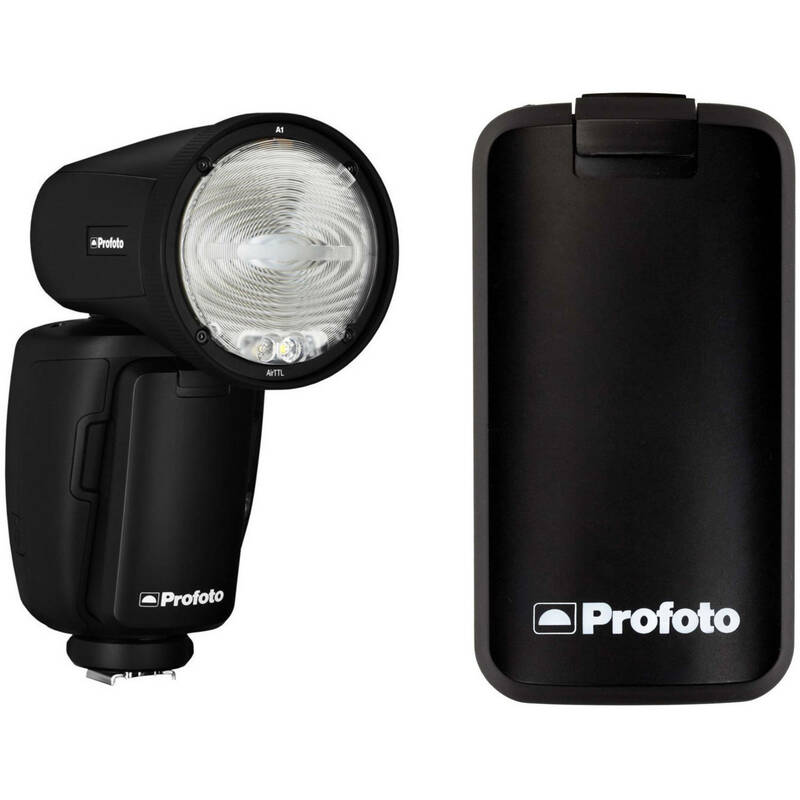 B&H has put together this Profoto A1 AirTTL-N Studio Light for Nikon with Extra Battery Kit to provide photographers with a sophisticated light source with extensive modifiers, and with the kit's additional battery, the ability to tap a reservoir of 700 full-power flashes. The kit includes an A1 on or off-camera flash with two batteries, a Dome Diffuser, Wide Lens, Bounce Card, Flash Stand, USB cable and a custom A1 Bag with shoulder strap. Box Dimensions (LxWxH) 15.8 x 6.8 x 1.15"